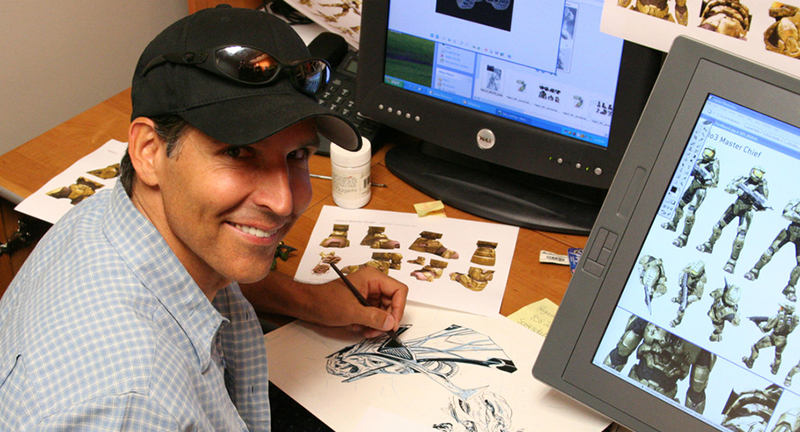 The Pop Culture Hall of Fame is proud to have Todd McFarlane as an inductee. To some, he is best known as a comic book superstar who got his start illustrating Spider-Man comics in the late 1980s. While working on such a high profile cartooning gig is a dream job for most, he had bigger visions. He parlayed that success into forming Image Comics, which became the home of his creation Spawn. There, he was able to write and draw his own stories, much darker than anything Marvel or DC would allow. His comics career almost was derailed by his interest in playing baseball, which he pursued with great passion. But he couldn’t quite develop a big league swing, and an ankle injury in college sent him back to the drawing board. Early gigs with DC led to illustrating “Detective Comics” and other storylines featuring that title’s most famous character, Batman. From there, it was on to the aforementioned Marvel work. Of course, these days McFarlane is known for much more than being a comic creator. In the mid-90s, he formed Todd McFarlane Entertainment to develop movies and TV shows based on his work. He also started McFarlane Toys to develop action figures of his own characters, in much higher quality and detail than anyone had ever made. McFarlane Toys has expanded beyond the scope of his characters, way beyond super heroes in general. They are the go-to company for anyone one who wants a hyper-realistic figure, far more art than toy. It’s not too big a stretch to see figures representing “ The Walking Dead” or “Stranger Things,” but they are the sculptors of choice for the NFL and Major League Baseball. The textures and finishes on skin, hair, and clothing make McFarlane figures look like real miniatures of those athletes. Their figures have also included numerous heavy bands like KISS and AC/DC, and cartoonsh figures of The Beatles in the style of the Yellow Submarine movie and their Saturday morning animated series. There are more “cartoony” properties in the McFarlane stable, such as “Rick and Morty”, or “Five Nights at Freddy’s,” which both look like friendly kid joints until you watch for a minute or two. Even though the proportions and lines are much more stylized, the same attention of detail goes into these figures, bringing them to life in ways a two-dimensional image can’t.